Naturopathic Doctors (N.D.s) attend a four-year graduate-level Naturopathic Medical Program and are educated in the same basic sciences as in conventional medical school. The ND program features a wide variety of effective natural therapies with a strong foundation in biomedical sciences such as anatomy, physiology, biochemistry and pathology along with physical, clinical, and laboratory diagnosis. During the last two years of medical school, in addition to studying natural therapeutics, naturopathic students continue to take courses in conventional medical fields including pharmacology, cardiology, pulmonology, gastroenterology, endocrinology, obstetrics, gynecology, neurology, pediatrics, and dermatology. Students are also required to intern for two years under the close supervision of licensed doctors (ND’s, MD’s, DO’s, and DC’s) in a clinical setting. This clinical training provides students with an integrative approach to medicine while encompassing natural therapeutic philosophies and emphasizing the practical information necessary to establish a successful practice. At the end of their training students become primary care physicians with a specialized focus in preventative medicine and natural therapeutics. Upon completion of the graduation requirements, the student is awarded a Doctor of Naturopathic Medicine degree (N.D.). Graduates sit for professional board exams to become licensed as general practice naturopathic doctors within licensed states or as individual jurisdictions allow. Naturopathic doctors (ND’s) are primary care physicians clinically trained in natural therapeutics and whose philosophy is derived in part from a Hippocratic teaching more than 2000 years old: Vis mediatrix naturae— nature is the healer of all diseases. Their practice is based on the same basic bio-medical science foundation that allopathic practice is; however, their philosophies and approaches differ considerably from their conventional counterparts. Naturopathic physicians diagnose disease and treat patients by using natural modalities such as physical manipulation, clinical nutrition, herbal medicine, homeopathy, counseling, acupuncture, and hydrotherapy, among others. They choose treatment based on the individual patient, not based on the generality of symptoms. This approach has proven successful in treating both chronic and acute conditions. 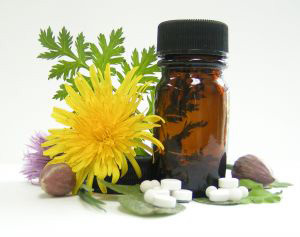 — Naturopathic medicine uses therapies that are safe and effective. — The human body possesses the inherent ability to restore health. The physician’s role is to facilitate this process with the aid of natural, nontoxic therapies. — Physicians seek and treat the underlying cause of a disease. Symptoms are viewed as expressions of the body’s natural attempt to heal. The origin of disease is removed or treated so the patient can recover. — The multiple factors in health and disease are considered while treating the whole person. Physicians provide flexible treatment programs to meet individual health care needs. — The physician’s major role is to educate, empower, and motivate patients to take responsibility for their own health. Creating a healthy cooperative relationship with the patient has a strong therapeutic value. — Naturopathic physicians are preventive medicine specialists. Physicians assess patient risk factors and heredity susceptibility and intervene appropriately to reduce risk and prevent illness. Prevention of disease is best accomplished through education and a lifestyle that supports health.